Fuji Days at Englewood Camera! 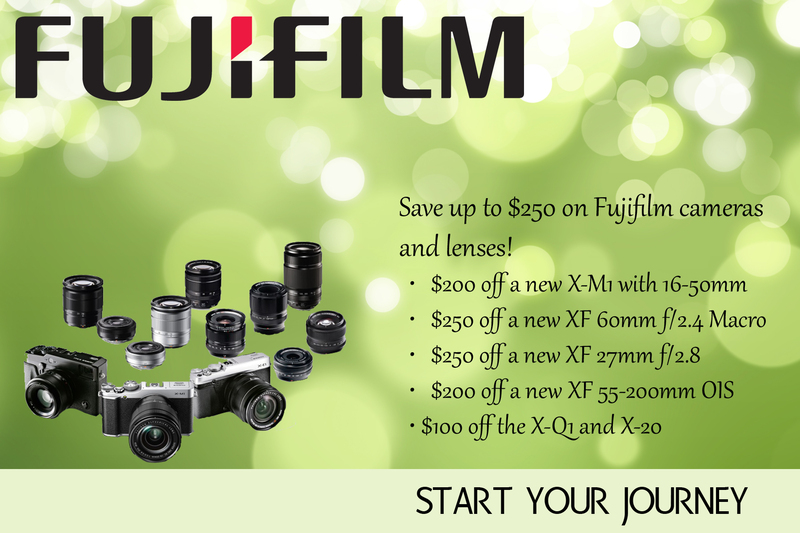 Fujifilm is one of the industry leaders for mirrorless camera systems; from compact cameras to professional cameras, Fuji offers a great selection in their X-Series lineup. As the only Premiere Elite Dealer in Colorado, Englewood Camera would like to invite you to test out this excellent camera system on October 11 and 12, 2013. You will be able to have a hands-on demo of all X-Series cameras, including the X100s, X-E1, X-M1, and X20, plus all of the lenses that are currently available. Meet with our Fuji rep for tech support and questions about the system in the store too! 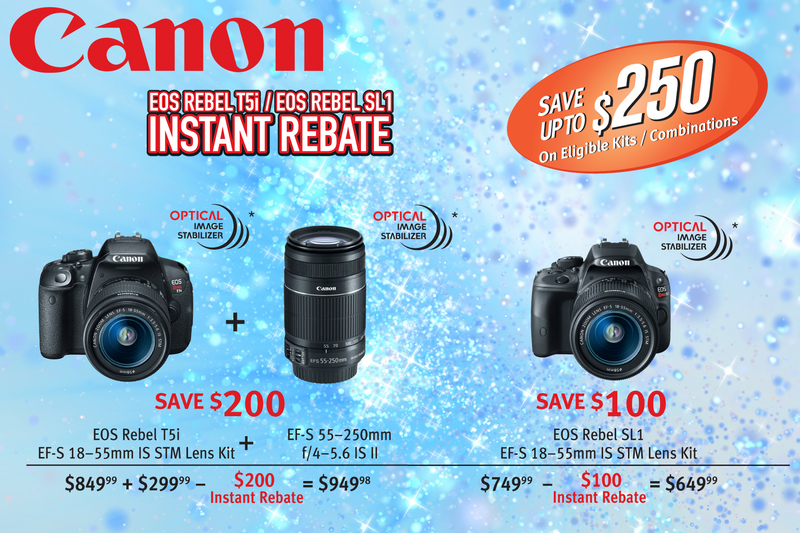 There will be in-store promotions available as well. 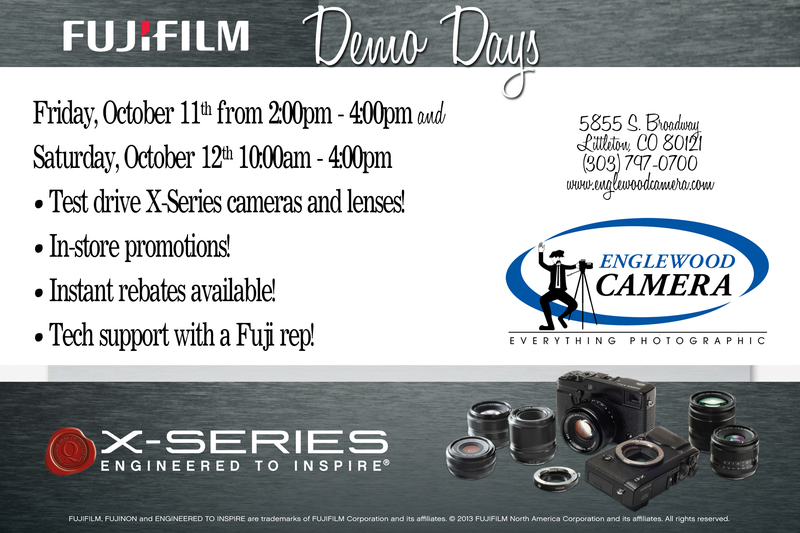 Englewood Camera hopes to see you for Fuji Days! Posted on September 30, 2013 Author englewoodcameraCategories Digital Photography, Sales and Promotions, Upcoming EventsTags Fuji Days, Fuji demo, Fuji X100s, Fujifilm X-E1, Fujifilm X-M1, Fujifilm X-SeriesLeave a comment on Fuji Days at Englewood Camera! The latest camera in Fujifilm’s X-Series camera system was announced in June 2013, and we’re pleased to say we’ve just received our first shipment! The Fujifilm X-M1 has a 16.3 megapixel APS-C sensor with the EXR X-Trans II processor. The camera is available with a brand new Fujifilm XC 16-50mm f/3.5-5.6 OIS lens for a retail price of $799.99. You can buy the camera in all black, silver and black, or silver and brown. The ergonomics of the XM-1 are similar to the other X-Series cameras, namely the X-E1 and X100s, but without a viewfinder. Instead, Fuji has added a 3″ vertically-tilting LCD screen with a 920k dot display. The camera design is catered more towards photo enthusiasts; there are no longer dedicated aperture and shutter controls, but rather a exposure mode dial offering Program, Shutter Priority, Aperture Priority, Manual, Custom, and a few automatic settings instead. 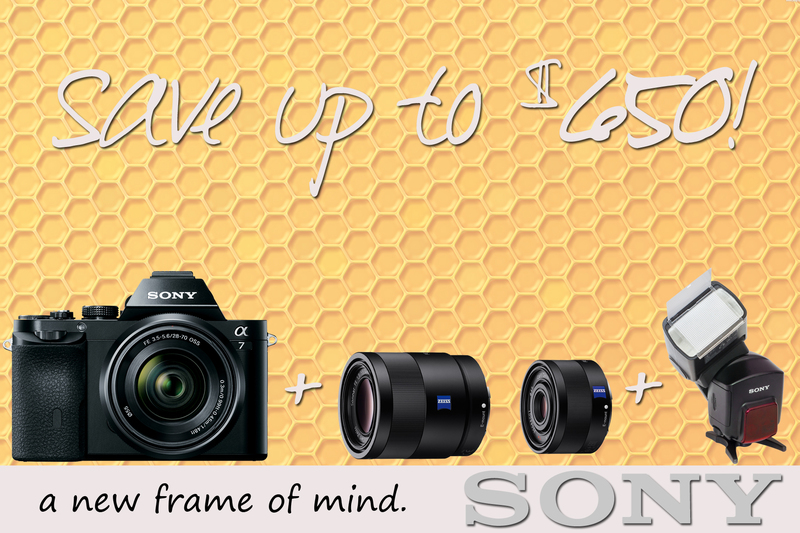 This is a great feature for those shopping for a mirrorless camera that is user friendly and simple to use! Fujifilm has been known for the classic-camera look and feel with their X-Series cameras; the X-M1 definitely continues the rangefinder feel with a more modern look, but fits in with the existing X-E1 and X-Pro 1’s as a smaller, simpler camera. 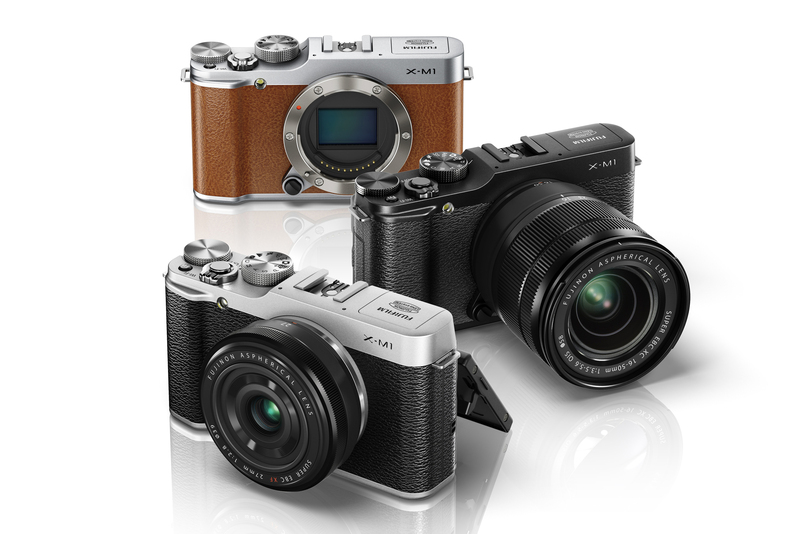 Comparing the X-M1 to it’s siblings in the X-Series lineup, the word that keeps coming up is simple. The buttons and settings on the back of the camera are easy to figure out and use. For example, the X-M1 now has a dedicated movie record button on the back of the camera, comparable to the Olympus and Sony cameras. Second, there’s an arrow pad (like most compact cameras) to control autofocus, white balance, continuous shooting/bracketing, and macro mode; these arrows also function as right/left and up/down movements within playback and the menu. There’s one simple wheel at the top of the thumb grip on the back of the camera to control aperture in both manual and aperture priority modes, or to scroll up and down through the menu. Also on the back is a button “Q” for quick menu; under this menu, the photographer can control a variety of settings, such as ISO, autofocus drive, resolution, picture styles (film simulation), sharpness, and noise reduction. This is a very handy menu to use, and saves time fumbling through the main menu or searching for specific buttons. Lastly, there’s a handy Fn button for custom function at the top of the camera, near the shutter release. This button can be used as a shortcut button, so the user can set it to change film simulation, AE/AF lock, focus mode, face detection, image quality, dynamic range, etc. Like the X100s, and now the other interchangeable X-cameras because of firmware updates, the X-M1 offers focus peak highlight as a manual focus assist. For those photographers who want precise focus, Fuji has created this technology for accurate focusing on the LCD screen. The contrast of the image becomes intensified, so the sweet spot of your focus is easy to determine–and this means you can quickly focus the lens. 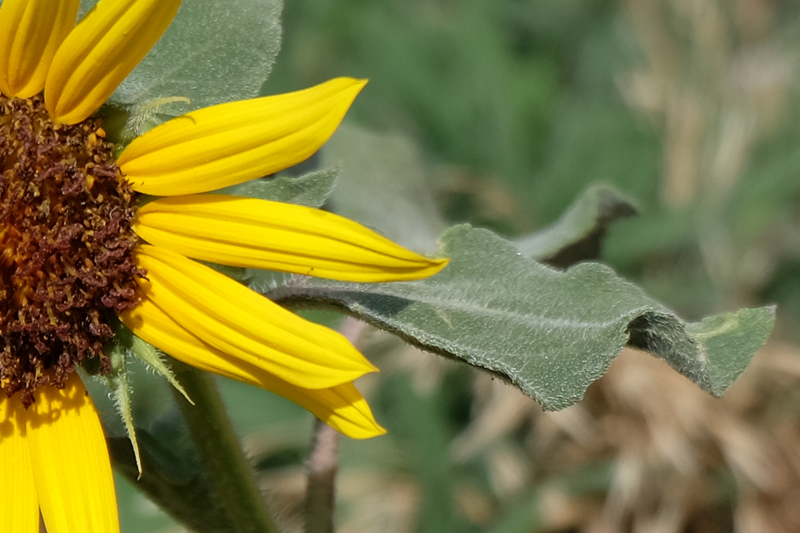 While the autofocus is fairly fast, the manual focus is faster than on comparable models. My complaint, however, is that there isn’t a switch to change focus drive (like on the other X-cameras). Instead, the user must change it over in the Quick Menu. The X-M1 doesn’t have a mode for auto and manual focus either, so the focus cannot be fine tuned in autofocus mode. That said, there probably aren’t many users who desire manual focus on this type of camera, and the autofocus has a fast response time. Fuji has a built-in flash on the X-M1, similar to that on the X-E1. Like all pop-up flashes, the range on this isn’t significant, but the flash works well for fill light and quick snapshots. It also serves as a commander for off-camera flash. Fuji’s X-M1 joins the mirrorless camera market with similar features to Sony and Olympus, so I decided to test out the camera alongside an Olympus OM-D E-M5 and a Sony NEX-6. For the sake of comparison, I tried to use the LCD screen on the cameras while shooting, as the X-M1 does not have a viewfinder. All three cameras were difficult to use in very bright sunlight, a problem still prevalent with digital cameras. However, the ability to tilt the screen definitely helped. 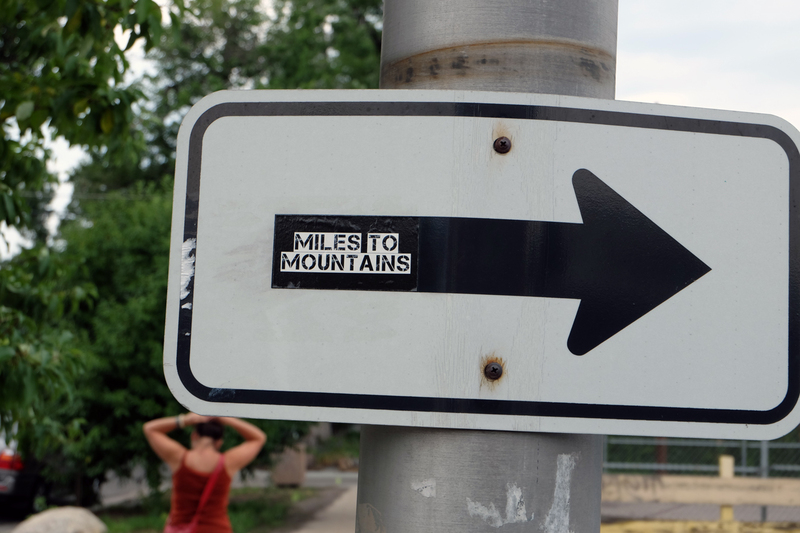 Without this feature, a viewfinder would almost be necessary. Testing out the Wi-Fi Transfer was an interesting experience; I have an iPhone, and I initially tried to find the network just through my iPhone’s wi-fi settings. It turns out Fuji has an app to download images to your device, so I downloaded the app, and after a few technical difficulties on my part was able to make it work. What I love about the wi-fi transfer is the ability for the X-M1 to automatically downsize the image resolution to fit my iPhone. And the transfer time is relatively quick–we’re talking a few seconds! You can set the camera to automatically transfer photos to your PC, too, so you don’t have to hassle with cords or card readers anymore. You can find the app from Fuji here. The size of the X-M1 is perfect; there are many times I don’t bring a camera with me places because my equipment takes up too much space! With the X-M1, however, I can carry it with a decent zoom lens (namely the 16-50mm) in my purse and not have to think twice about it. It’s also lightweight, so keeping it in a purse isn’t cumbersome. Image quality from the X-M1 is a strong rival to the other X-Series cameras, and the new 16-50mm lens is pretty impressive! Please see a few test shots with data below on the X-M1. 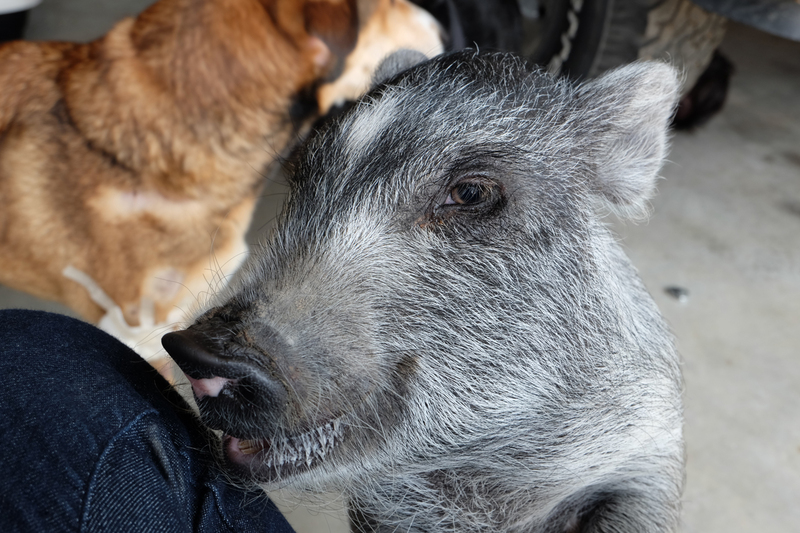 I wanted to see the detail that can be produced by the X-M1 with the kit lens (XC 16-50mm f/3.5-5.6), so I took this test shot of one of my favorite subjects–my pet pig, Pipsqueak. This was shot at ISO 200; 1/50s at f/8, 25mm, in aperture priority. 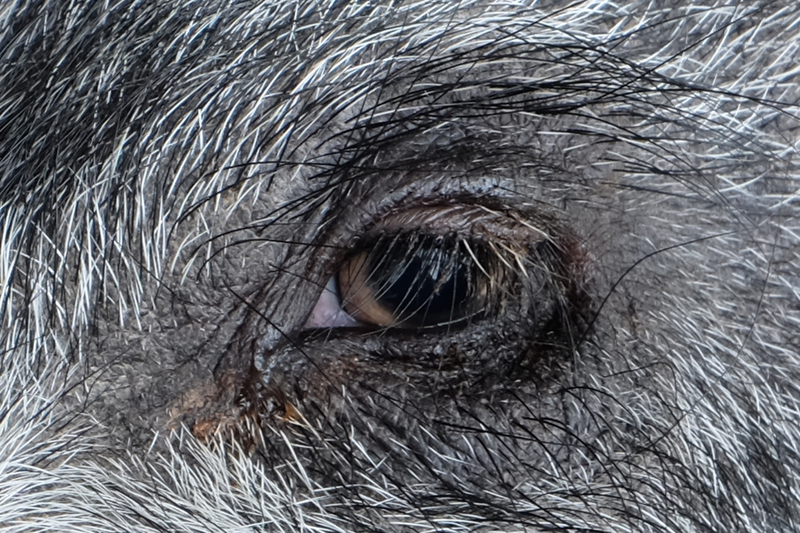 The minimum focus distance of the lens is about 8 inches, so I was able to shoot relatively close to my piggy. When zoomed in, the level of detail is incredible! Though the build quality of the 16-50mm isn’t nearly as solid as the XF lenses in Fuji’s lineup, the quality is great for most practical purposes. See the detail shot below. Though I shot in RAW + JPG (Fine) resolution, I am happy with how the Fuji’s process jpeg files. 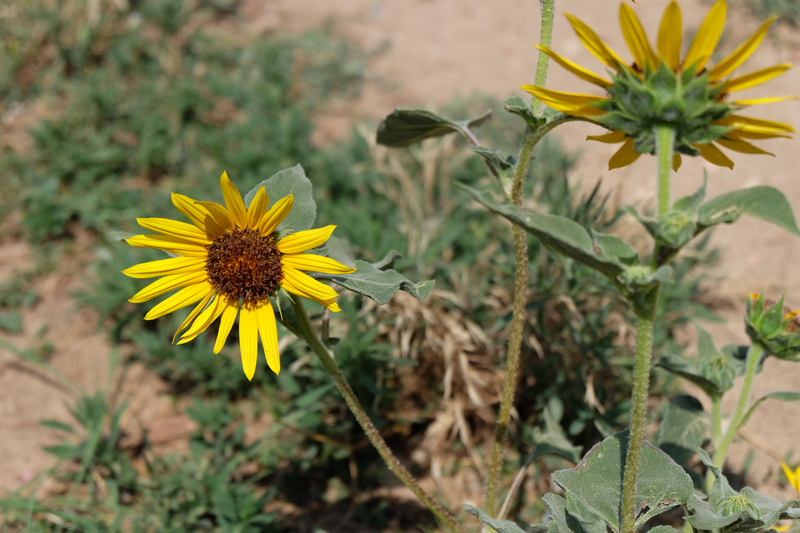 I did not alter the color, contrast, sharpness or anything from these files–they are merely downsized for the blog. After spending some time with this camera, I definitely think Fuji is onto something with this new design. The X-M1 isn’t a professional-grade camera like the X-Pro 1 or X-E1, but is designed to attract a broader customer base. And for good measure; the features are easier to use, the camera is smaller, but the user doesn’t sacrifice any quality with this setup. Come on in to Englewood Camera to check out this new camera–we have silver/black and all black combinations available today.